Join us in beautiful Singapore for an incredible week in arts education! Although Singapore is a small nation in population (5.5M) and is about ¼ of the size of Rhode Island, it is a major economic center. Since employment drivers such as manufacturing, and electronics face growing competition from other SE Asian nations, the creative economy (and governmental support for this sector) has produced alternative economic outputs through the support of professional arts and artists. So, in addition to education, science, and technology, the arts are central to economic innovation and growth. 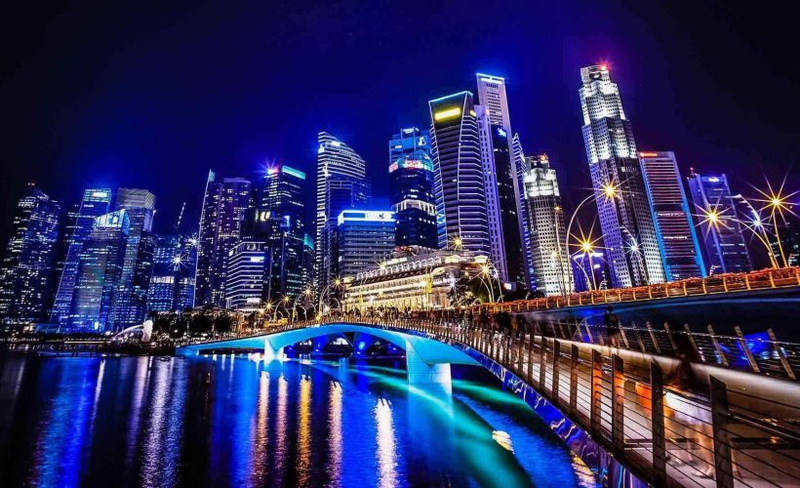 Of course, Singaporeans recognize that its arts profile enhances the quality of life and serves as an additional attractor attractive to global economic investment and is one of the world's largest city economies (along with London and New York). see first-hand that after years of being recognized for high scores and aptitude in science and mathematics--Singapore is now making efforts to assure excellence in "future readiness," a bold approach by the governmental, economic, educational and creative sectors to move beyond "book smarts" to employing a more diverse skill set (sometimes called "soft skills"). ASN principals and teachers will carry-back diverse experiences that will provide impact to their leadership while bolstering efforts for advancing global citizenship and achieving a better understanding of the integration of SE Asian programmatic and curricular areas in the context of a highly successful economy. In Singapore, education and creativity are supported generously, and life-long learning is valued and available to all citizens. Arts education leaders in the United States can bring benefits to their programs through global awareness, fluency in technology, the ability to integrate humanities and arts with STEM, and how to shift from what was identified with what was often termed "culture" and is now the creative industries. The organizing committee for this project is Laurence Kaptain, University of Colorado Denver, Diane Makas, Huntington Beach Academy for the Performing Arts, Huntington Beach, CA, William Kohut, President of Arts Schools Network and Principal of the Denver School of the Arts, and Melissa Brookes, Managing Director of ASN. Singapore School of the Ars (SOTA) with Singaporean arts high school leaders and LaSalle College of the Arts college faculty and leaders. Presentations for arts school principals and teachers to develop and extend a global view. Leadership presentations by Michael Seman, Director of Creative Industries Research and Policy, CU Denver. A special custom tour of the National Gallery of Singapore that houses the world’s largest public collection of Singapore and Southeast Asian art, consisting of over 8,000 artworks. Of special interest to ASN leadership is the Walk, Walk, Walk: Search, Deviate, Reunite reflects teamLab’s continued exploration of Japanese spatial logic. Drawing on the “flattened” perspective in traditional Japanese art, a virtual world constructed in 3-D on a computer is brought to life through “flattened” moving images. A visit to an immersive arts entity--teamLab (founded 2001). This is a multi-award-winning art collective comprising various specialists such as artists, programmers, engineers, CG animators, mathematicians, and architects. Known as “ultratechnologists,” the group’s collaborative practice seeks to navigate the confluence of art, science, technology, design and the natural world. Its multi-sensory installations use digital technology to free art from physical boundaries, pioneering a new relationship between humans and nature.